The Pearl Mussel Project attended some very interesting presentations today at the Local Authorities Water Programme Conference 2019 in Tullamore. The programme is a shared service working with Local Authorities and State Agencies to develop and implement River Basin Management Plans in Ireland, as required under the EU Water Framework Directive. 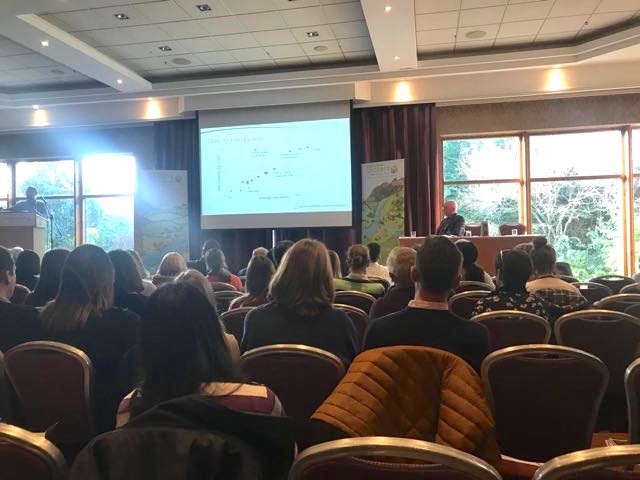 The conference included a great range of speakers with innovative examples of how to reduce the impacts of a variety of farming actions on rivers, one of the main challenges facing freshwater pearl mussel in Ireland.